Fosse moved to Hollywood with the ambition of being the next Fred Astaire. His early screen appearances included Give A Girl A Break, The Affairs of Dobie Gillis and Kiss Me Kate, all released in 1953. A short sequence that he choreographed in the latter (and danced with Carol Haney) brought him to the attention of Broadway producers. Although Fosse's career in film was cut short by premature balding, which limited the roles he could take, he was reluctant to move from Hollywood to theatre. In 1954, he choreographed his first musical, The Pajama Game, followed by Damn Yankees in 1955. 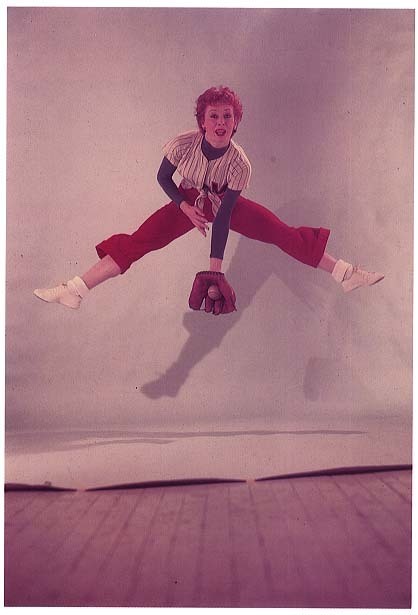 It was while he was working on the latter show that he first met Gwen Verdon. Fosse developed a jazz dance style that was immediately recognizable, exuding a stylized, cynical sexuality. Other notable distinctions of his style included the use of turned-in knees, sideways shuffling, and rolled shoulders. With Fred Astaire as an influence, he used props such as bowler hats, canes and chairs. His trademark use of hats was influenced by his own self-consciousness. According to Martin Gottfried in his biography of Fosse, "His baldness was the reason that he wore hats, and was doubtless why he put hats on his dancers." He used gloves in his performances because he did not like his hands. His dance routines were intense and specific, yet had a simplicity to them. Robert Louis "Bob" Fosse was born in Chicago, Illinois, on June 23, 1927. Over the course of an almost fifty-year career as a performer, director, and writer, Fosse emerged as one of the finest choreographers to work in American musical film and theater. Fosse, whose father worked in vaudeville, was half of the Riff Brothers dance act by the age of thirteen. He enlisted in the Navy after high school and served two years. He then began his career as a dancer. By age twenty-one, Fosse was hoofing in road companies and, soon after that, on Broadway.